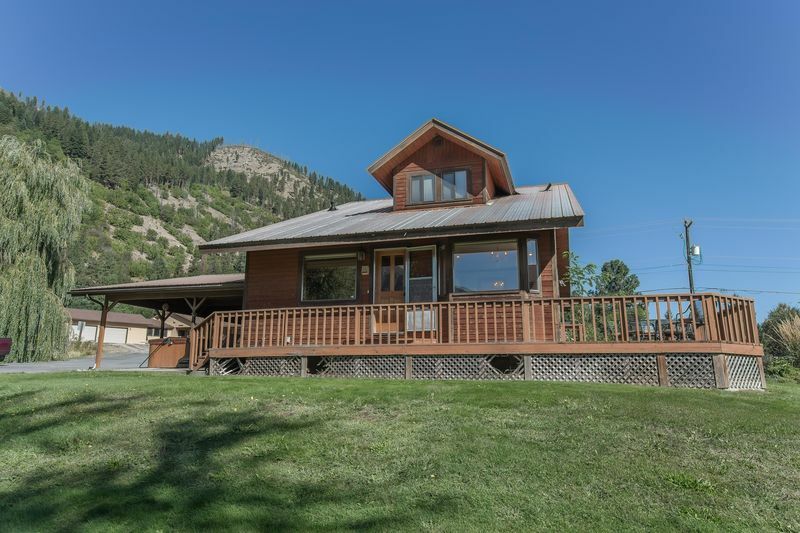 Close to river rafting, hiking trails, golf, and tubing, this lovely, comfortable home brilliantly combines classic old design with new updated features, with huge windows to embrace the panoramic view. 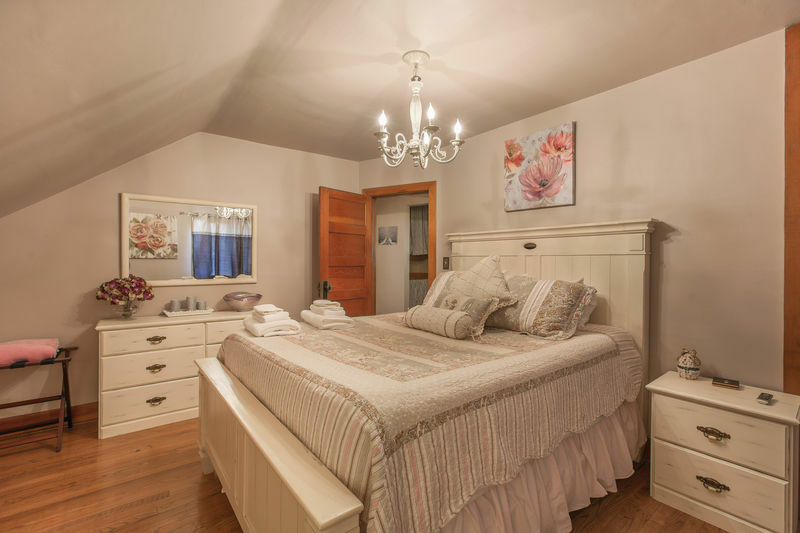 With the classic character and coziness of one of the town’s classic homes, this attractive cottage has recently been updated to add comfort and style. 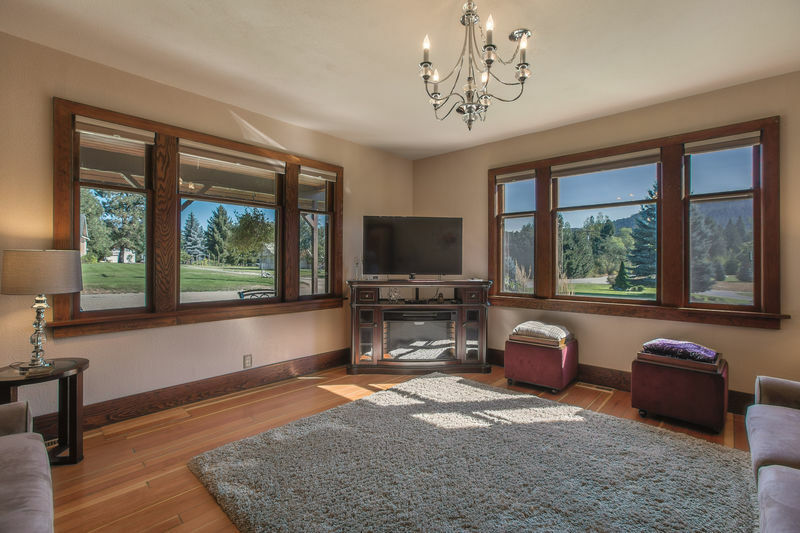 With beautiful wood floors throughout, granite counters, and updated appliances, Mountain View Cottage takes advantage of its most outstanding feature– breathtaking views of the mountains– and creates a wonderful place to enjoy it from. 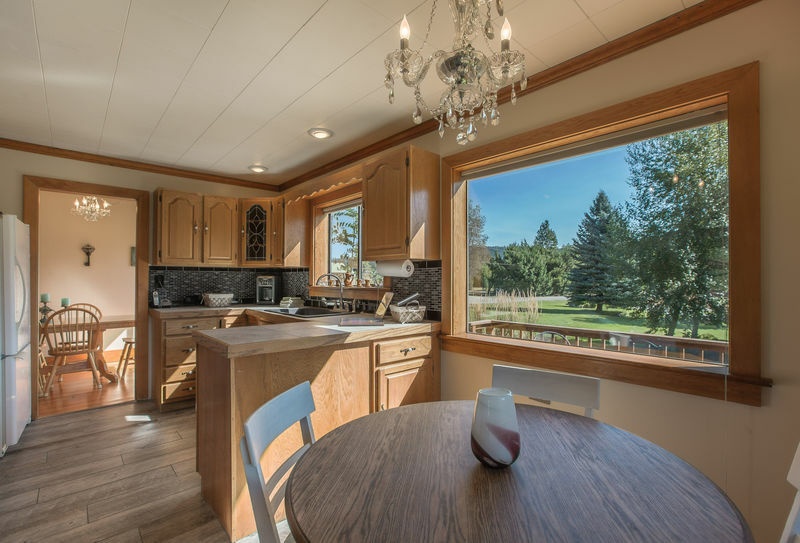 Large windows envelope the breakfast room, creating a restful mountain atmosphere that’s unmatched. 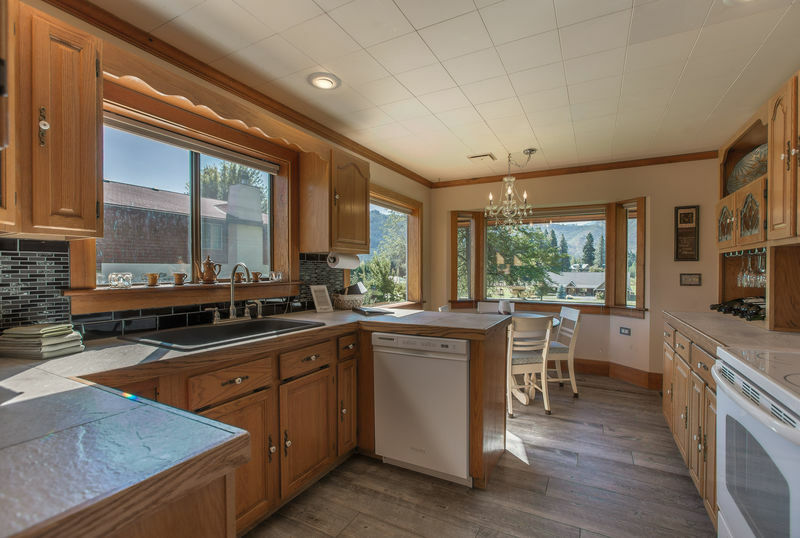 The fully equipped kitchen features stone counters and mosaic tile back splashes, new appliances, large farm-style sink, and stunning wood floors. 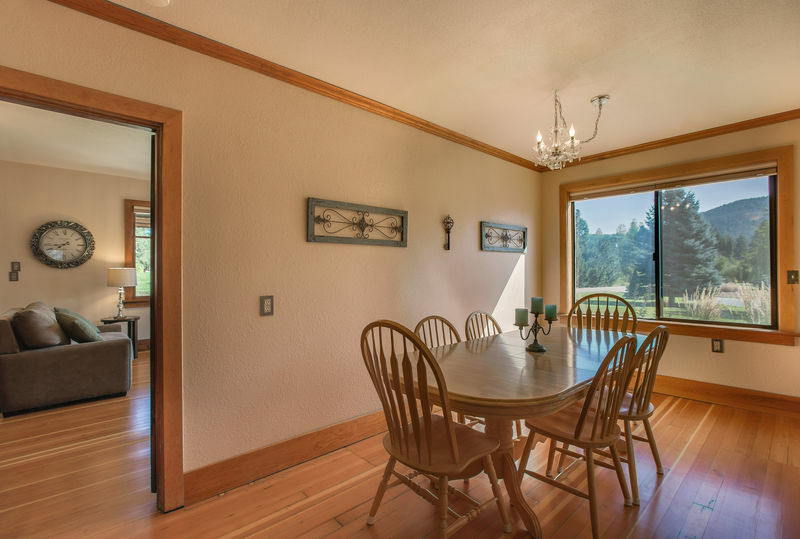 Just off the kitchen, there is a roomy separate dining room. The beautifully furnished living room has one single and one Queen American Leather Comfort sleepers– no bars, no springs– that will sleep 3. So comfortable! 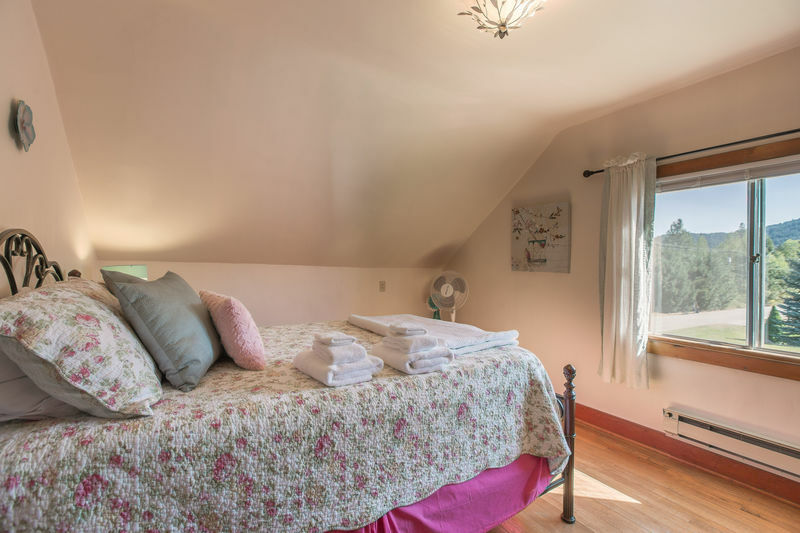 Upstairs, there are two bedrooms, each with a queen. 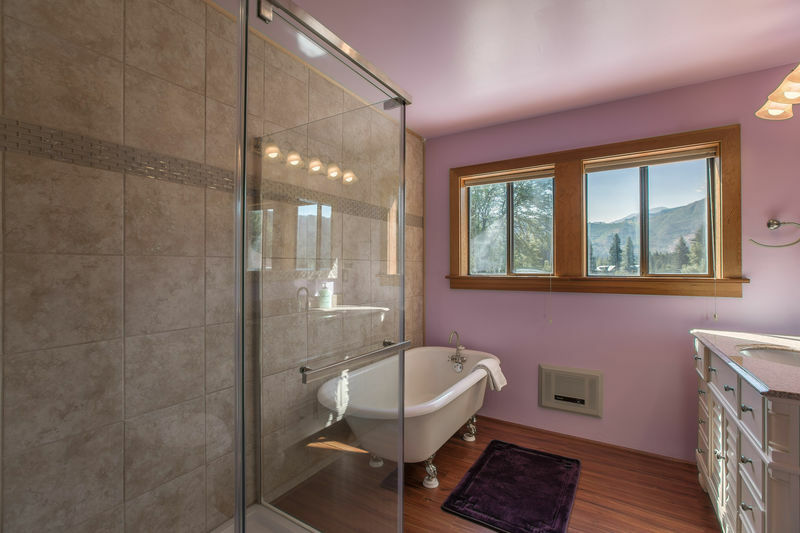 There is a full bath upstairs that features a very attractive claw-foot tub, as well as a second full bath downstairs. 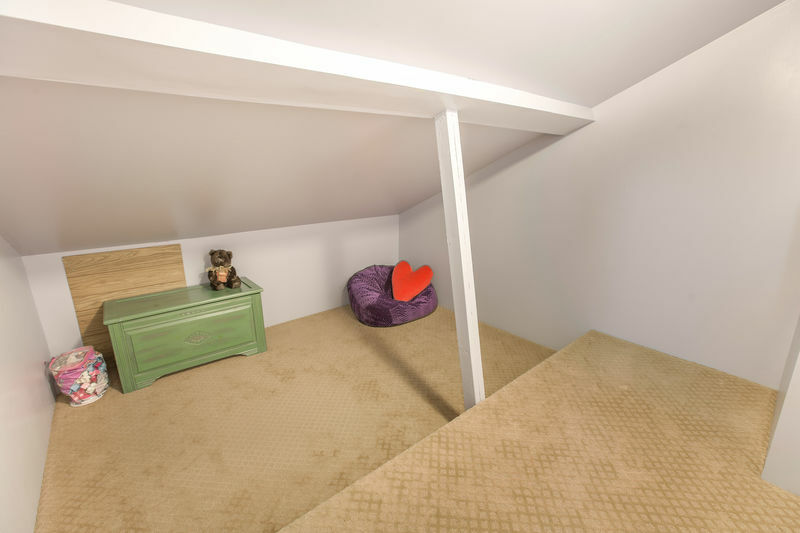 A a very cute bonus hide-away room with TV is a perfect little nook for entertaining children! 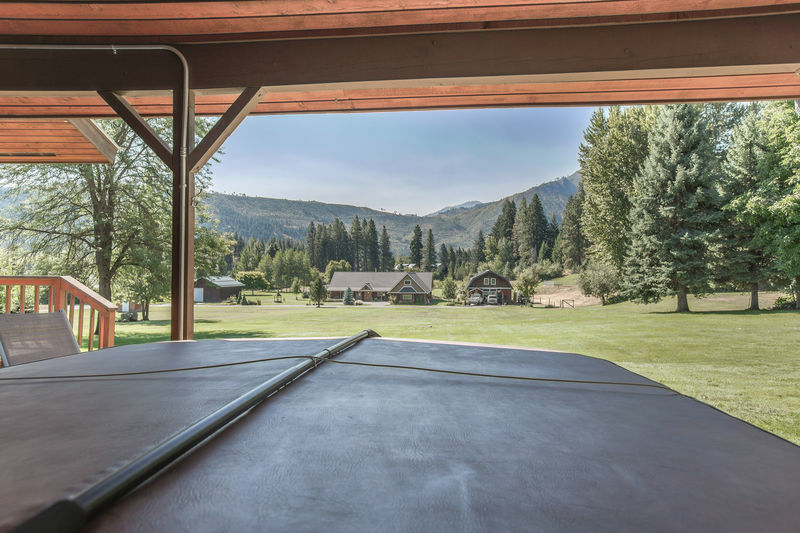 A private hot tub has an outstanding view of the mountains. Outdoor furniture on the large deck is just one more place to enjoy the peace and tranquility of this amazing view. 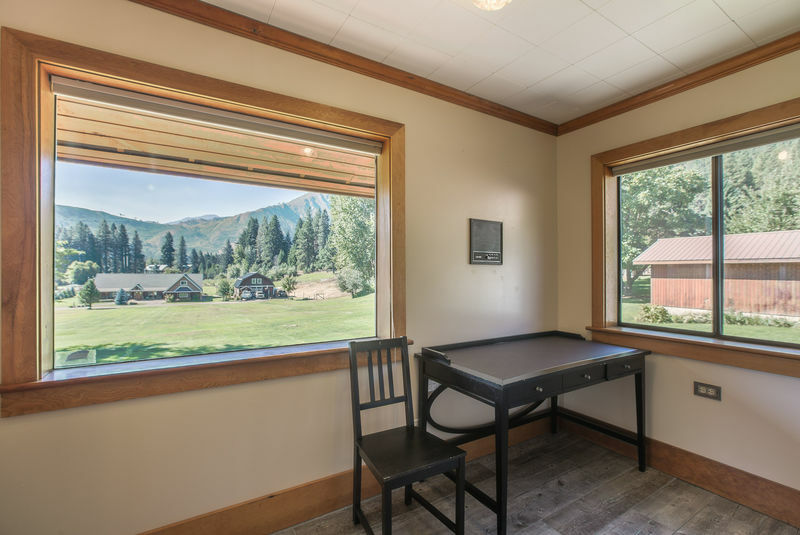 Just a short drive to Leavenworth’s shops, restaurants, and festivals, Mountain View Cottage is a perfect little place to call home when you come to enjoy the Bavarian village. 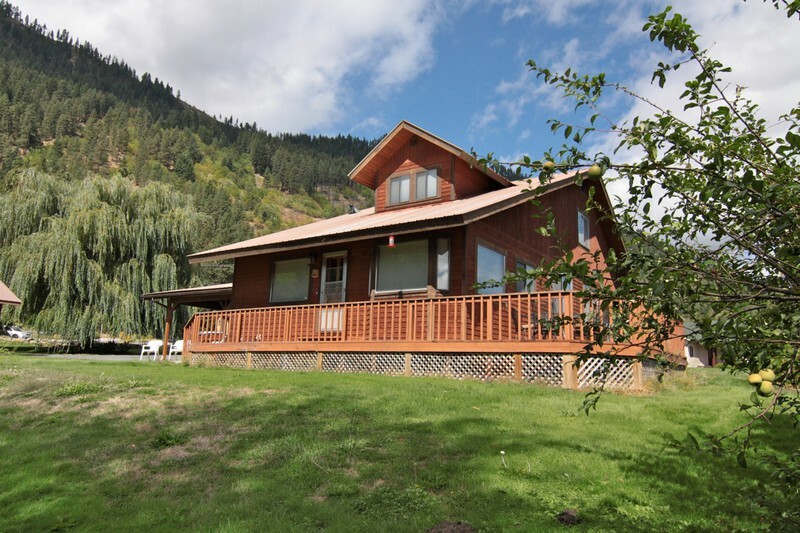 As seen from the back yard, looking at the cabin. Mountain View Cottage. 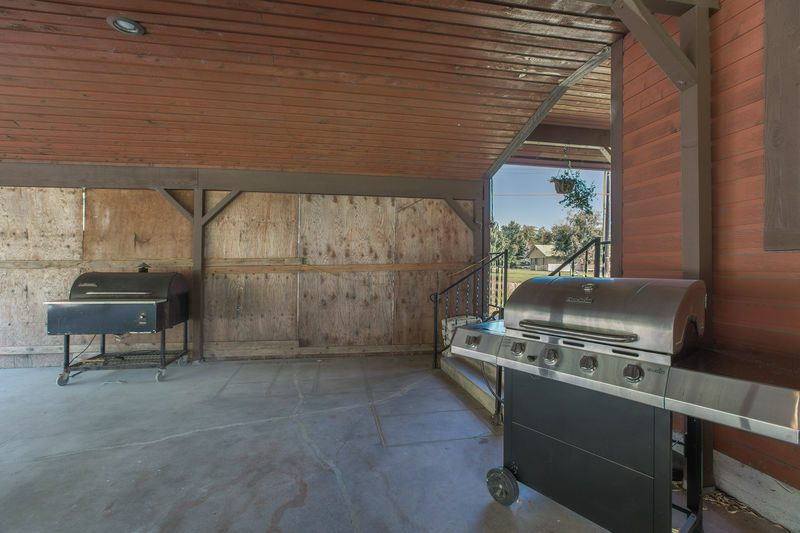 Carport (with hot tub and BBQ), and deck beautifully extend the living space to incorporate the outdoors! 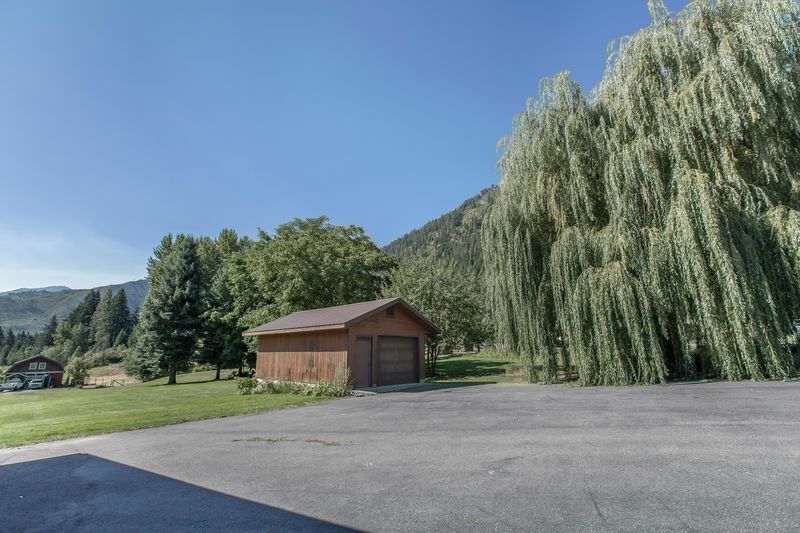 Located on large, 1 acre lot in rural residential area just 1 mile from downtown Leavenworth! 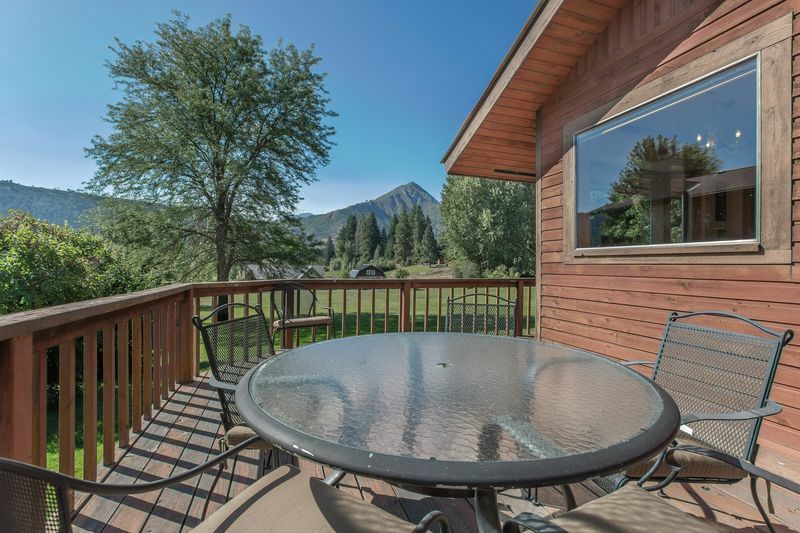 Enjoy coffee or dinner on the back deck, taking in the views. Living room has two American Leather sleeper sofas (one twin and one queen). 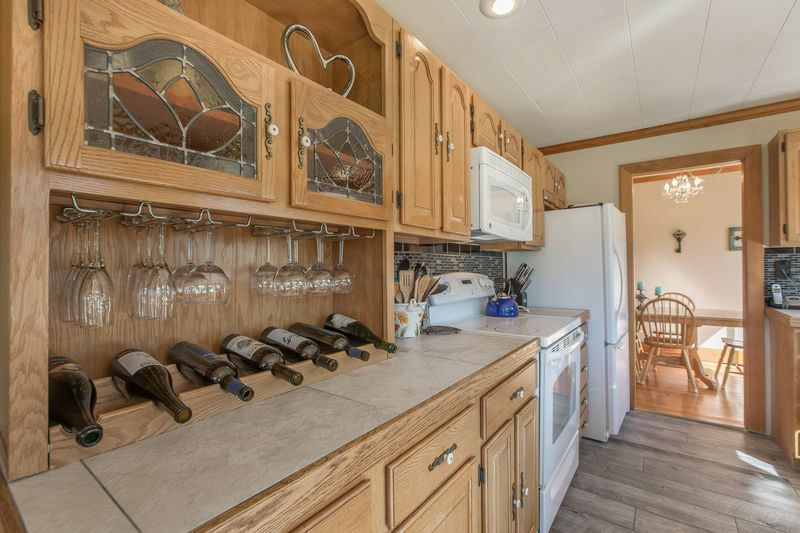 Kitchen area with separate breakfast nook. Breakfast nook with amazing views! 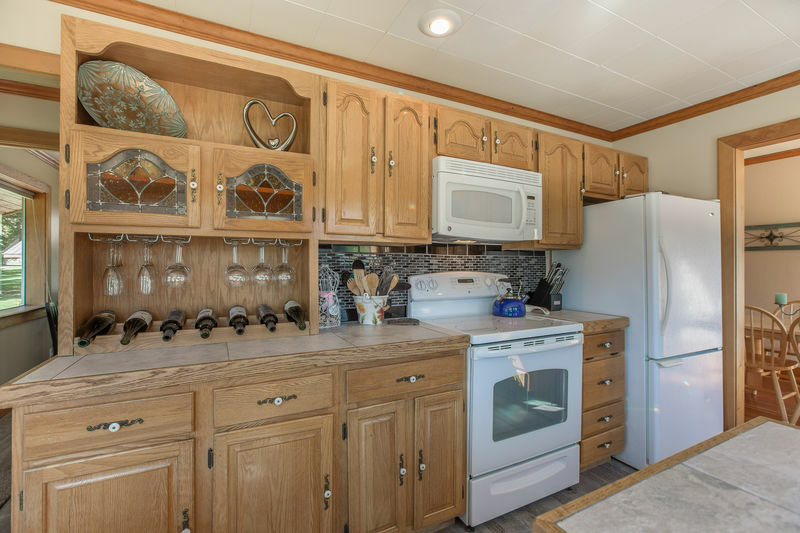 Fully equipped kitchen allows you to prepare meals if you want to dine in. 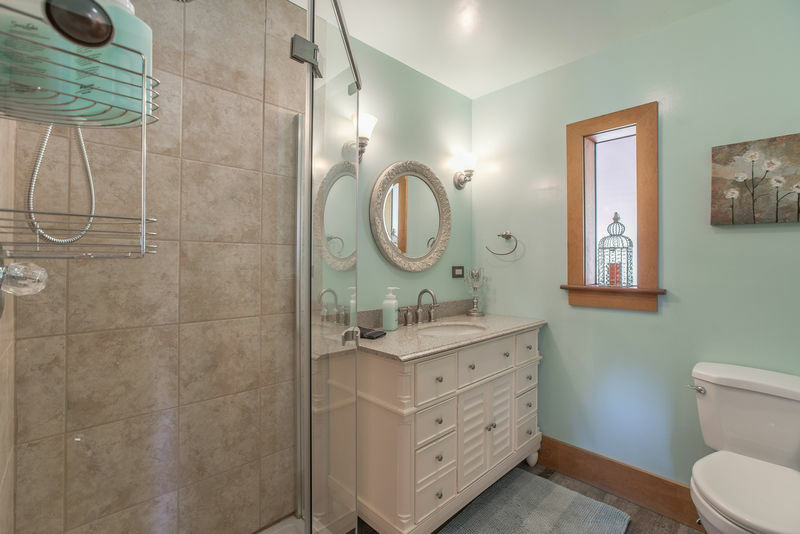 Upstairs bathroom with clawfoot tub and modern shower. Cozy little corner for kids to explore! 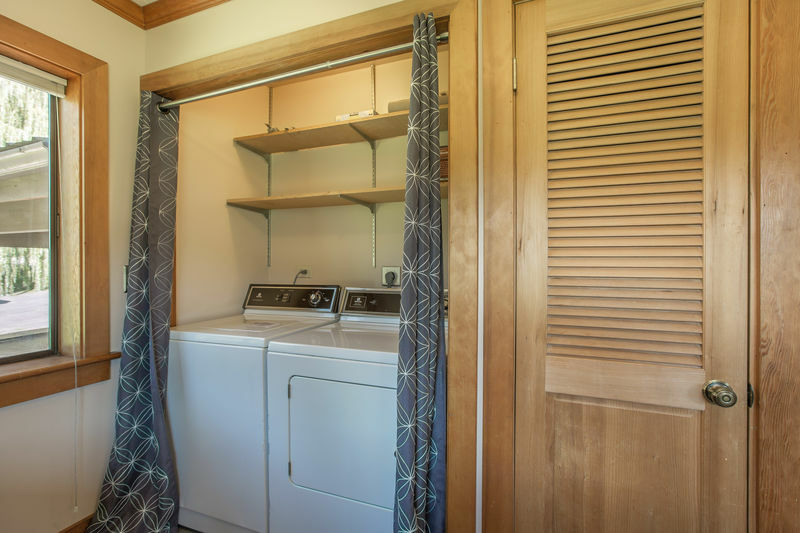 Washer and Dryer in case you need to do some laundry for yourselves. 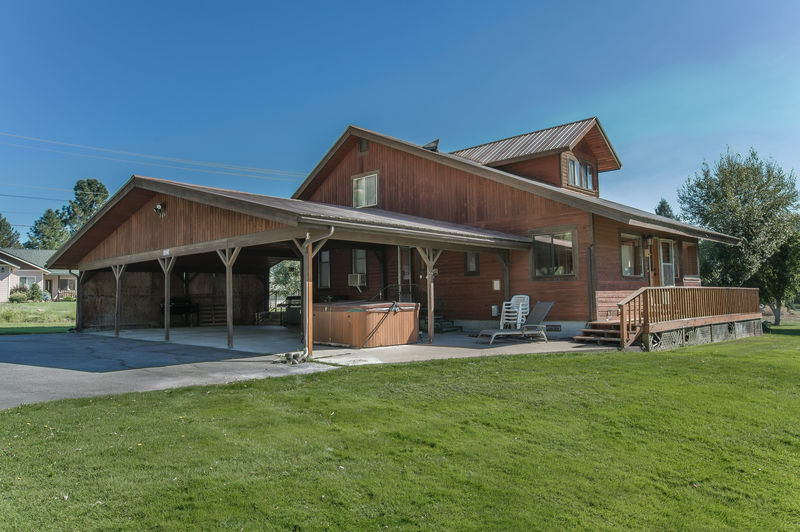 Hot tub is located in the carport and provides gorgeous views of the mountains! More views, as seen from the hot tub/carport area. Mountain View Cottage, as seen when approaching from the road. Great location. Beautiful views. Friendly people. 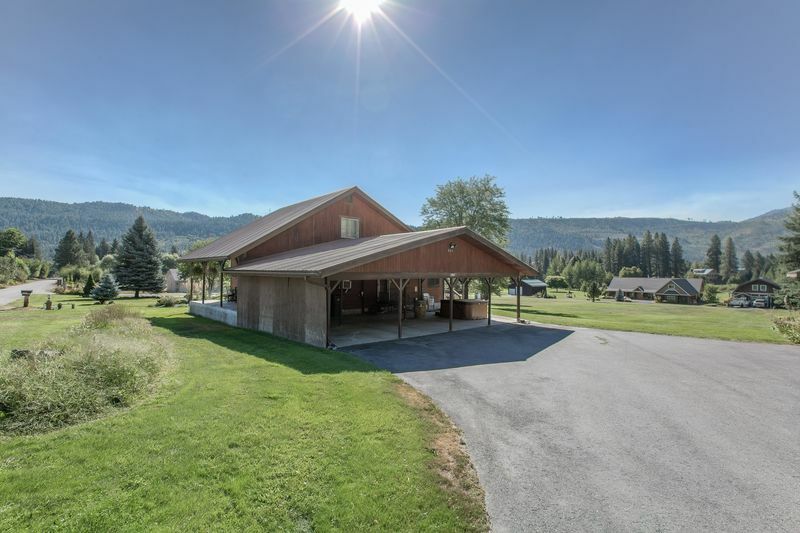 Lovely, well stocked and clean home with beautiful views and great access (just a short walk down the street!) to Icicle River. Easy drive or bike into town. We also really enjoyed the large, grassy field for running and playing and having a nice picnic in the shade of the trees. 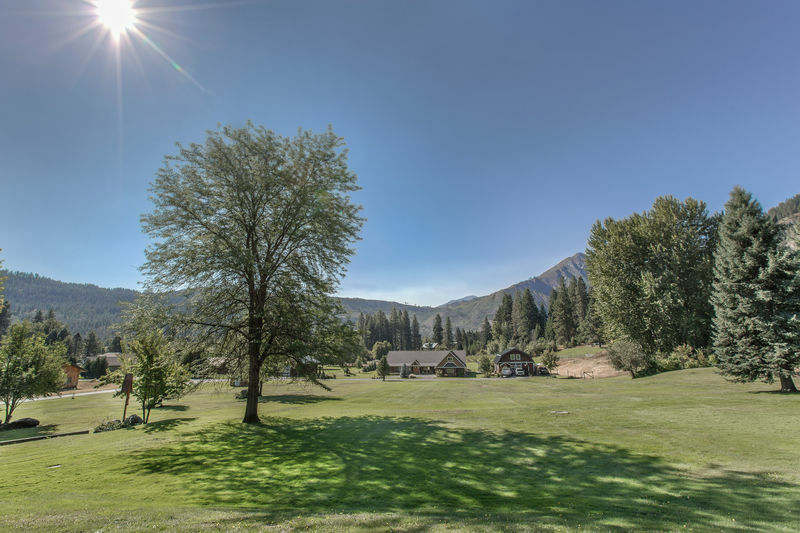 We also had a great experience in town, the food was delicious (we stopped at Louie's and Andres Keller's), the beaches clean and beautiful and the people of Leavenworth were kind and friendly. We truly enjoyed our stay and found nothing lacking. 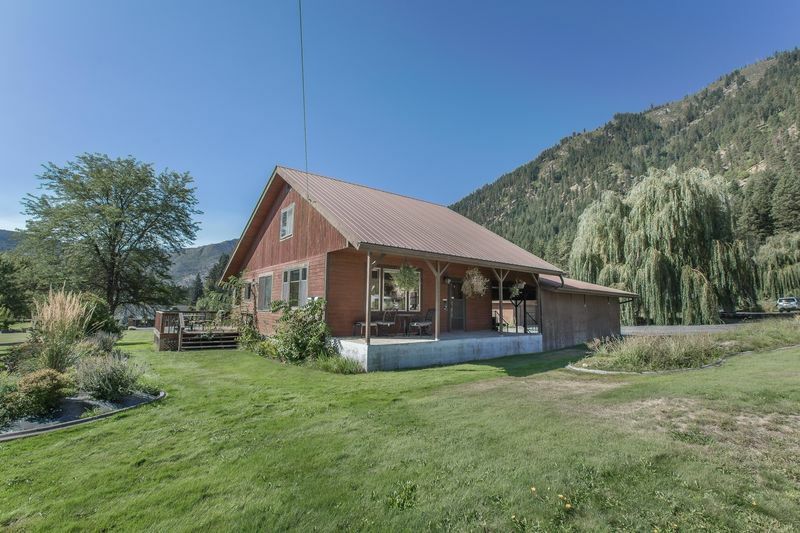 Very nice property just outside of town! 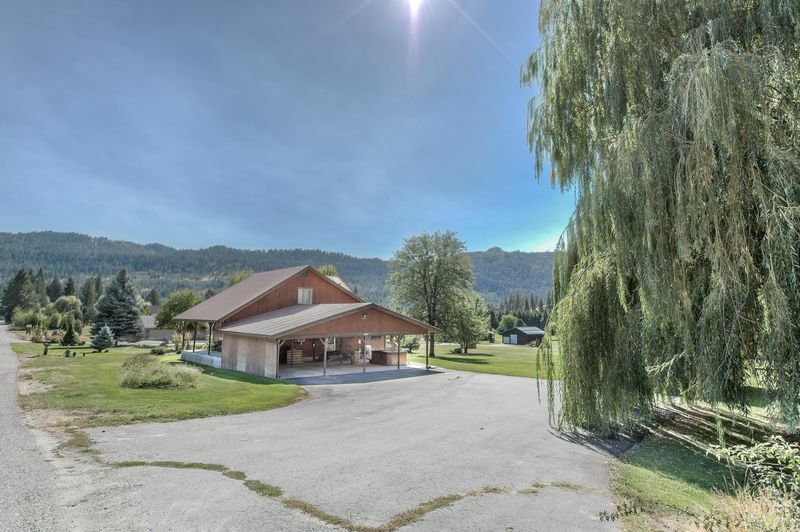 Newer bathrooms and kitchen, lots of amenities. AC kept the house comfortable even during 90 degree heat. Would rent again. Great house, clean and well appointed. The house was older than we thought, but very nicely retrofitted, comfortable and roomy for the 4 of us. The view from the kitchen table was terrific! My only complaint is that the foam on the bed upstairs is so thick I couldn't turn over on it. Watching the fog roll across the mountains every morning was beautiful. The road was a great place to take a walk with the family, many of the neighbors have animals. The river is at the end of the road. The house was immaculately clean. The beds were very comfortable. The kitchen was well equipped with everything we needed. The kids toys in the kids nook were an added bonus. The decorations for Christmas, made it feel like being home for the holidays. It was the perfect place to spend Thanksgiving. It is an older home with creaky floors on the main floor but that is part of the character. The house is well maintained! The home was great, we would stay again. It was close enough to town that it was easy to take an Uber to and from town instead of trying to find parking during the Lights of Christmas. It had everything that we needed and the house was beautifully decorated with Christmas decorations. Cozy Home, great view, nice to have a hot tub after a cold day. Great time in Leavenworth. Cozy home all decorated for Christmas.plenty of room for our Family of 5. What a Beautiful View to enjoy. As we spent our first Thanksgiving in Leavenworth.